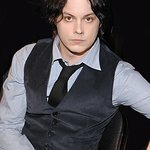 In an effort to help the thousands of people in the Nashville area who’ve lost so much in the recent floods, Jack White and Third Man Records are auctioning off a unique item from their archives with all of the proceeds going to benefit The Red Cross – Nashville Chapter. For sale on eBay is a genuine, one-of-a-kind red and white Ludwig Musser marimba percussion intrument custom-made for the White Stripes and used live on their 2005-06 worldwide touring on the Get Behind Me Satan album. While a different marimba was used for the recording of Get Behind Me Satan (one of only two M500 Concert Grand Soloists in the state of Michigan at the time) that marimba was deemed too large and not red-and-white enough to be used by the band live. So a phone call was made to the fine folks at Ludwig/Musser and not long afterwards the White Stripes were proud owners of their very own custom-made marimba. The marimba made its live debut on May 11th 2005 at the Fundidora Amphitheater de Coca Cola in Monterrey, Mexico and was subsequently used in concert in Panama, Colombia, Brazil, Latvia, Poland, Russia, New Zealand, Japan and every other country the White Stripes played in 2005-2006. Used primarily for the subtle tones of “The Nurse” during its nightly performance, this marimba was also employed for at least one live version of “The Denial Twist”, as well as numerous improvisations during the tour. The marimba itself was unceremoniously flipped over by Jack White at the last show of the tour in Osaka, Japan on March 9th, 2006. It has since been safely stored in Nashville in its custom red white and black flight case, which is ALSO included in the auction. This particular model is a Musser M250 Concert Grand marimba. The winning bidder will have to arrange shipping themselves given the size and weight of the marimba and case. This marimba will also come with an official Certificate of Authenticity signed by Jack White, signifying that it is the same marimba used on all the stuff listed above. This is quite possibly the first (and for sometime ONLY) White Stripes concert-used piece of musical equipment to be auctioned off. The band has held their instruments closely and rarely, if ever, out of their immediate safe-keeping. This is surely an item that would be at home in any number of museums (the Marimba Museum in Manitoba, the Ludwig Museum in Louisville or the Rock and Roll Hall of Fame in Waukegan). The piece is completely functional and could be used to teach any number of eager youngsters the basics of concert percussion. And remember, all of the proceeds go to benefit victims of the Nashville flooding, so bid outrageously! 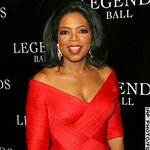 To make a bid and find out more, visit eBay.com.